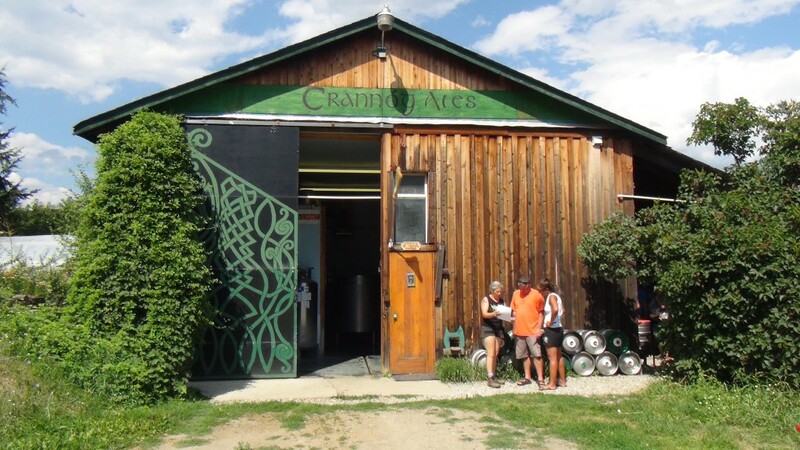 Crannog Ales & Left Fields is one of the most unique breweries I have ever been to. I love what they do here and I always get their beer when I’m in British Columbia. 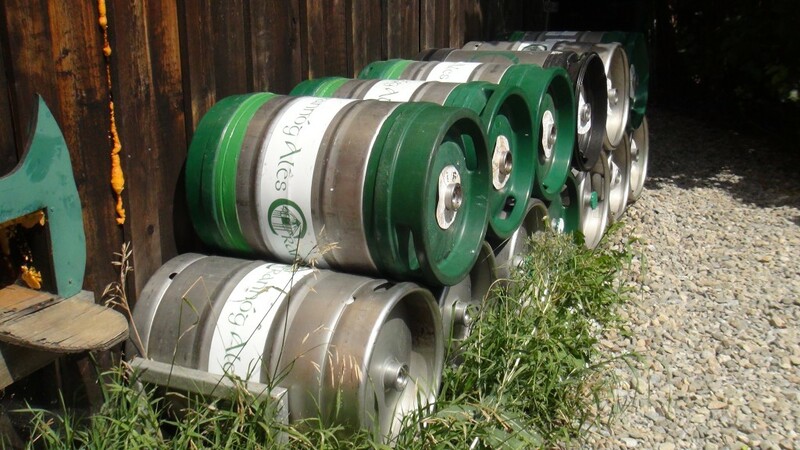 This brewery is a hidden gem of B.C. and a MUST go to! This brewery, I have to say was the most unique and actually the favorite part of my trip to B.C. How I found out about this brewery was in 2013 I was visiting my aunt and uncle in Vernon and they mentioned that I should look for this beer called “Backhand of God Stout” Well I can’t turn down a mission like that so away I went looking for this beer. I went and saw a good friend of mine that is the manager of BX Creek Liquor Store in Downtown Vernon and she told me that I was just feet away from trying that beer. It was in the pub that is attached to that hotel! I rushed to the pub and asked for this magical beer I kept hearing about and I was NOT disappointed! This stout was one of the smoothest and most light and wonderful tasting stouts I have had in a very long time! I had to learn more about this brewery. 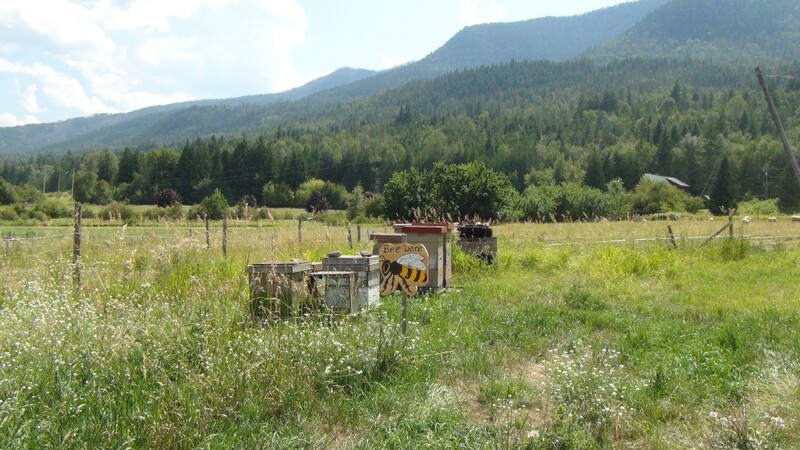 This brewery is tucked out of the way along Highway 1 in Sorrento BC, it is on a small lot of land but they do a lot of big things! I got my aunt and uncle to join me on this tour and just like me they were not disappointed at all. We pulled up this dirt road just off of the highway and we saw what appeared to be this run down shack on the left with the Crannog vehicles all decked out in their Celtic art that the brewery is known for. A crannog (/ˈkrænəɡ/; Irish: crannóg [ˈkɾˠan̪ˠoːɡ]; Scottish Gaelic: crannag) is typically a partially or entirely artificial island, usually built in lakes, rivers and estuarine waters of Scotland and Ireland. Unlike the prehistoric pile dwellings around the Alps that were built on the shores and were inundated only later on, crannogs were built in the water, thus forming artificial islands. All around us were hop vines! 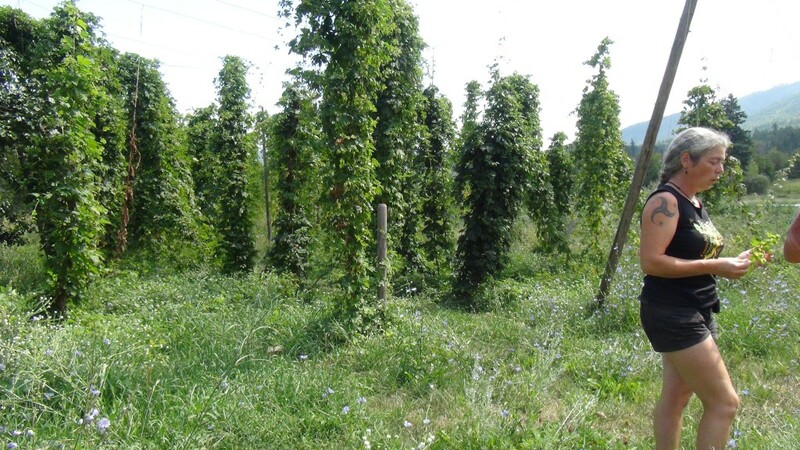 OH the amount of hop vines they have, they make any big brewery jealous with what they can grow! When they take you on the tour you get to see what a fully self sustained organic brewery it really is. They start you off by introducing you to the sheep they have there. Now I bet you are asking what do the sheep do? 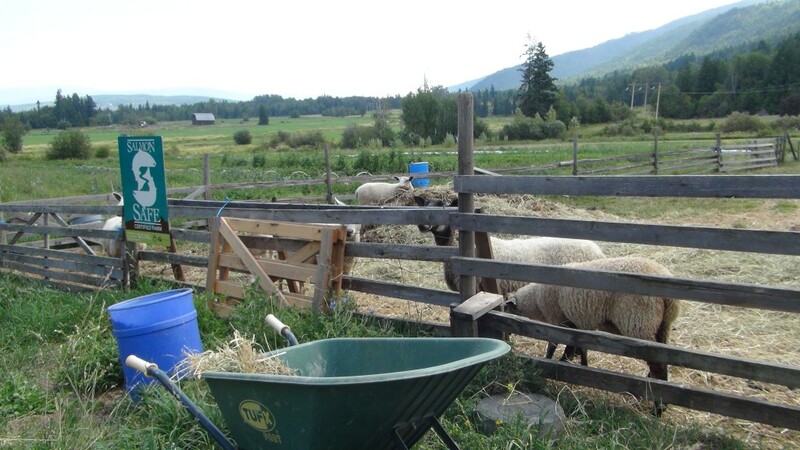 Crannog Ales let the sheep run free in the hop vines and eat all the weeds around the vines to keep it going. 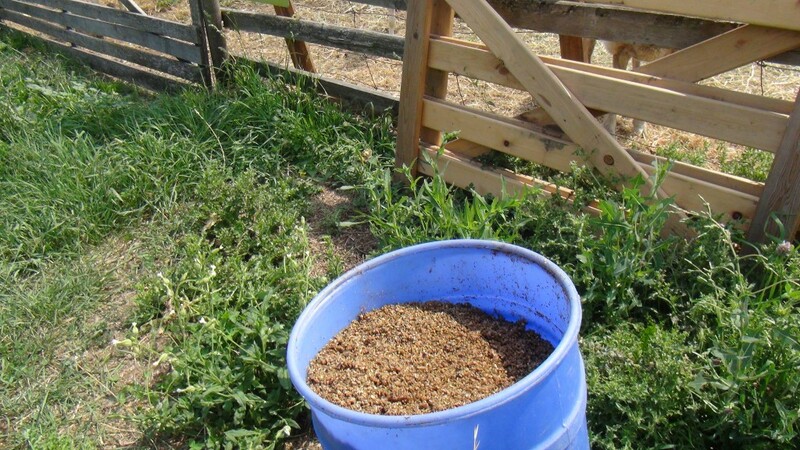 They also feed all the sheep the spent grain they use in the brews, as well as using all the sheep droppings to mix into the compost to help grow the hops and make them healthy and big, quite the process. Speaking of which they even showed us the compost pile they have and how they keep churning it so that it will not go bad or anything. Total farming 101 right there and they prove it every step of the way in the making of their beers! 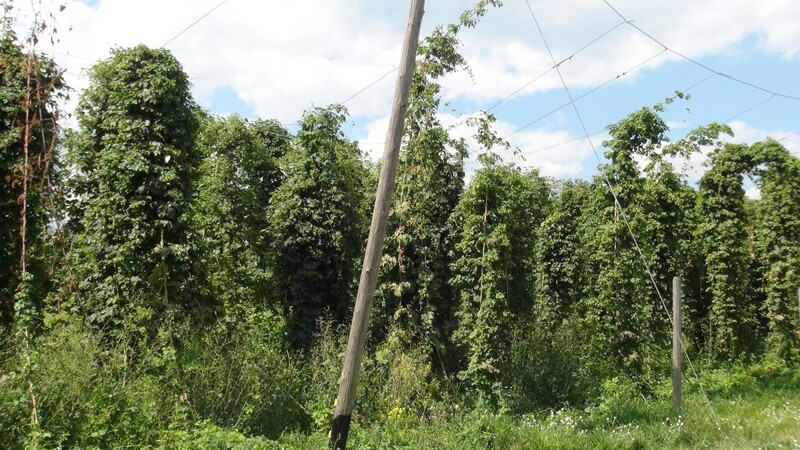 From there they also show you all the hops they have, it is a small acreage but they have tons of hops! From what we were told over 16 different kinds, as well when we were there they found two new types of hops, one of which was put into a new brew which was a “Salmon” hop, they got to name it that, and they got to turn it into a special beer for them which was really awesome to hear. From there they took us to the SMALLEST brewery I have been in! There truly isn’t a lot to this brewery yet they produce so much beer it is great to see how well they do for a very small operation. 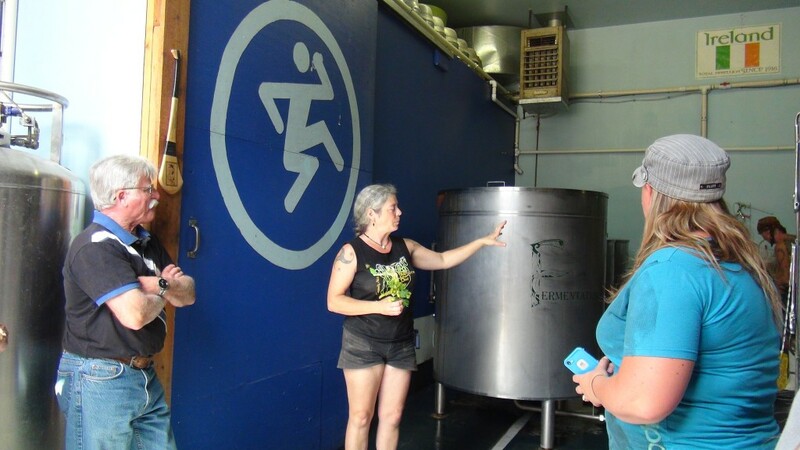 They also explained that they reuse a lot of the water they have, they have a filtration system that recycles the water for use in the beers or on the crops they have. Once again self sustaining. They also showed us the different types of grain they use. Honestly they know their stuff, and it is amazing to see what goes into the craftsmanship of their beer. Then the best part of the tour or any brewery tour: the tasting room! It was in a small area, but it was so awesome to see all the stuff they had on their walls and just the history of the brewery as they explained each of the beers they let you sample! Then they lead us to where we could purchase the beer in growler, or party pig format. I have to say that in itself was awesome and expensive, but totally worth it. I walked out of there with close to $100.00 of beer and merchandise so I am glad the tour was free, because they know how to market their product really well, however the beer sells itself it is that damn good! So as you can see Crannog Ales are fully self sustained and a certified organic brewery. They are in a class of their own and this is why I loved this brewery tour. I strongly recommend going here and having a tour of their site, have some money on hand or a debit or credit card because you will be wanting to spend money there. 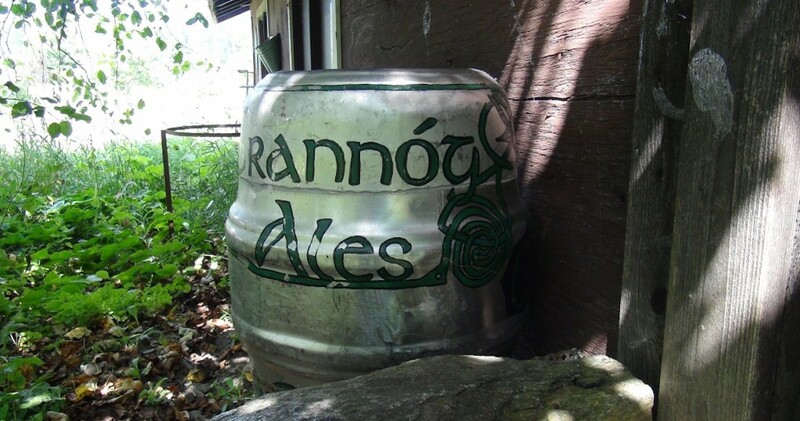 Crannog Ales makes great products that are very hard to find! Thank you again to Crannog Ales and Left Field for the tour and for a wonderful beer! The Backhand of God is still one of my favorite stouts to date!